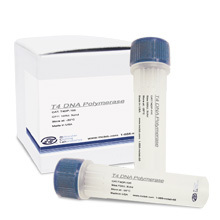 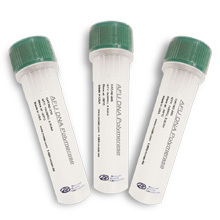 High quality deoxynucleotide triphosphate (dNTPs) are functionally tested in long PCR to be PCR qualified, and meet or exceed the criteria for high-quality sequencing with Thermo Sequenase DNA polymerase. 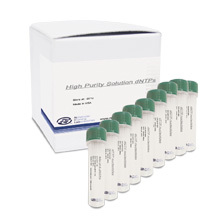 High purity: 98% triphosphate, (as confirmed by chromatographic analysis and 31P nuclear magnetic resonance (NMR) spectroscopy) ensures high levels of incorporation. 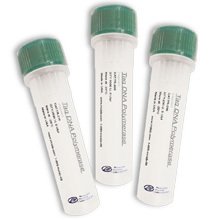 It is supplied in buffer-free, ready to use solution and is available as individual products, sets or premixes.